Home exercise equipment disposal. Until you try it, there’s probably not a whole lot of forethought about it. In other words, when you first delve into home exercise equipment disposal, it’s likely the first and only time you’ve ever dealt with this type of task. 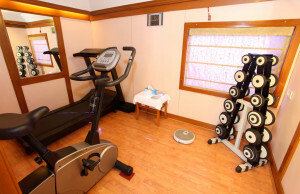 What you can do with outdated or used home fitness equipment really depends on what it is and its overall condition. If it’s in relatively good condition and is sellable or can be given away, then you have a lot more options. Or, HOA community residents just might be able to unload it and give it to the gym or fitness room. Basically, there are a few reasons it’s so hard to dispose of old home exercise equipment. One, it’s used. Two, it’s old. And, three, it’s used and old — meaning there’s just not much demand for it. However, this doesn’t mean you’re stuck with it. Yes, it is used. Yes, it is dirty. But, that doesn’t mean there’s no future use for it. Sell it directly. Host a yard sale or try to sell it online locally through an ad. However you go about it, price it really cheap to get rid of it quickly. Remember, your goal is to unload it, not to try to make money. Try consigning it. Another option is to consign it or sell it to a local sports equipment resale store. You might have a bit more luck this way, depending on its overall condition. Donate it to a local organization. Some local schools might be interested in taking it as a donation or a local charity. Both will probably have the means to pick it up, so at least that’s not on you. Get rid of it through a junk hauling service. If it’s not in very good condition, you can’t simply put it on the curb. So, have a local junk hauler come and pick it up and take it away. If you have old home exercise equipment to get rid of, just phone 800-433-1094 or visit Junk Garbage Removal.